You'll love this charming 'Old Florida' vacation home. 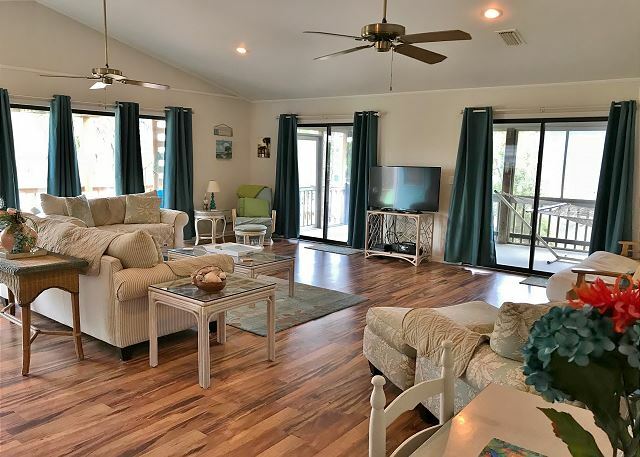 You may find yourself relaxing on the large open deck or enjoying the fabulous screened-in porch. 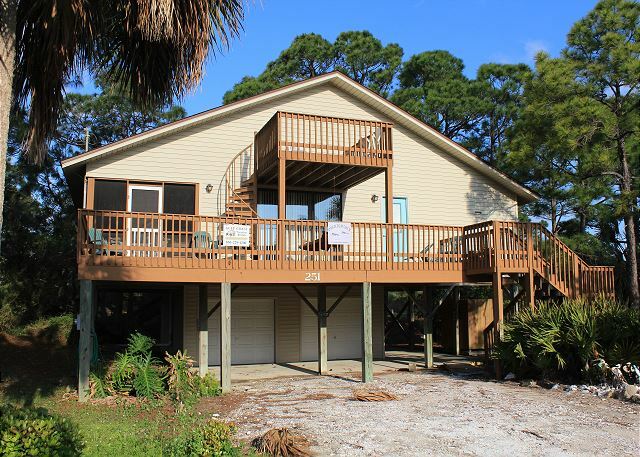 This beach home has an open floor plan with a full kitchen, sleeper sofa and futon which allows you to sleep 9. 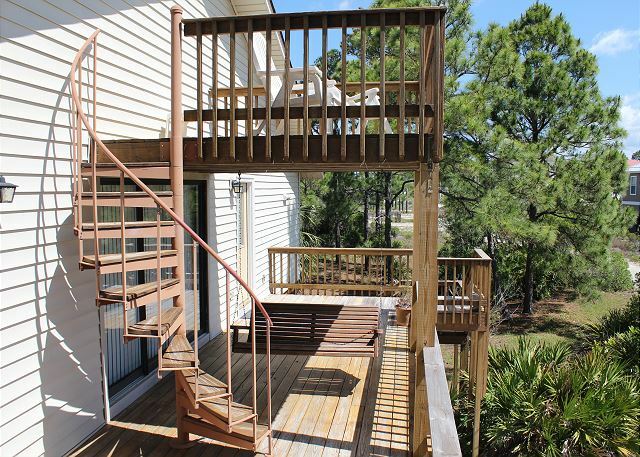 The master king bedroom opens onto the screened-in porch, and the second bedroom has a double and a twin bed. There are two full baths - one has a stand up shower. Other amenities the home has are a washer and dryer, outdoor shower (cold/hot water), fish cleaning area and upper deck for even better views. 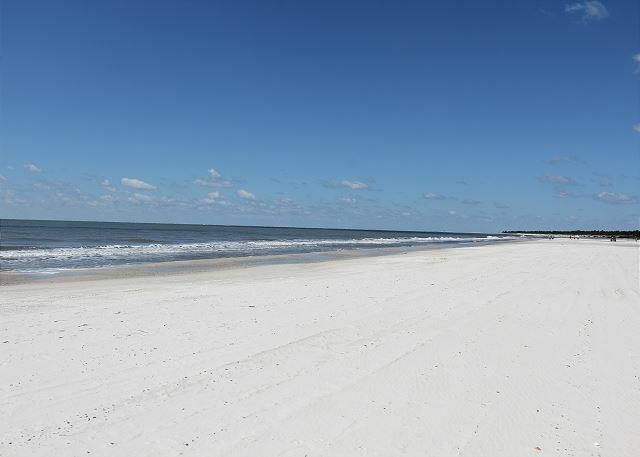 This home is just a couple minutes walk to the beautiful beach. Beach access does have a boardwalk with no steps. A great place for the money!.